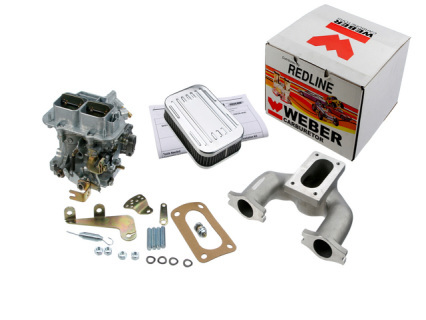 Pre-calibrated • Bolt-on Performance • Street & Track, 32/36 DGV progressive linkage 2 barrel Weber carburetor All Weber Conversion kits are assembled with all the parts necessary for a quick and professional installation. 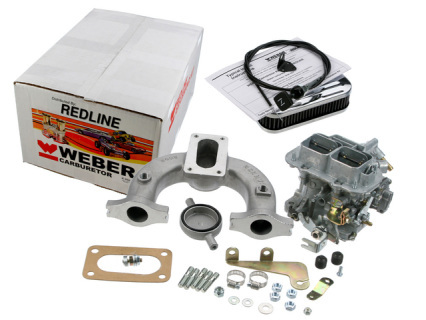 Included in each kit is a complete set of installation instructions. This is a Kit with manual choke carburetor. Pre-calibrated • Bolt-on Performance • Street & Track All Weber Conversion kits are assembled with all the parts necessary (including intake manifold not shown) for a quick and professional installation. 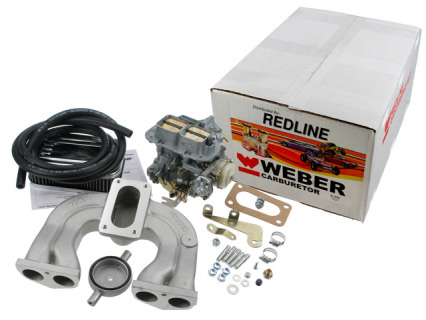 Included in each kit is a complete set of installation instructions. 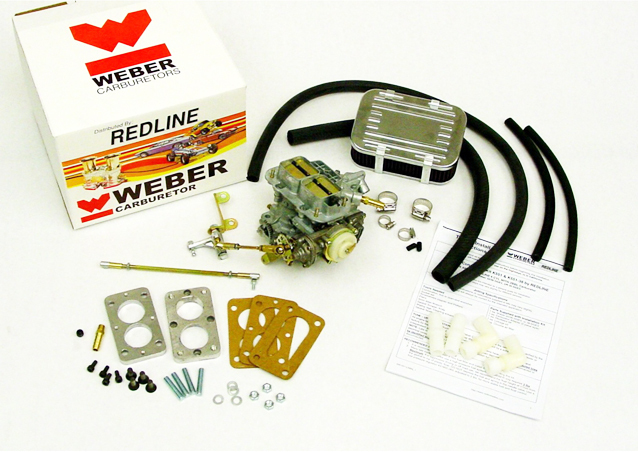 Those looking for a better performance this kit has the 38DGAS synchronous opening 38 mm carburetor with manual choke or Electric Choke/ Water Choke (shown). Please specify when ordering.